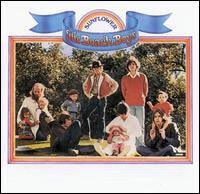 The Beach Boys’ career has passed the half-century mark and I have been a fan almost that long. A number of their songs have become a part of American culture and Brian Wilson is acknowledged as a musical genius. Many fans know the band only through their hits and compilation albums, of which there are dozens. If, however, you want to get at the essence of the band, there are several dozen studio albums available. I have ranked them in order and have mercifully included a few shortcuts. You can keep your Pet Sounds and the legendary four-decade journey of Smile. 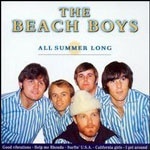 The Beach Boys’ supreme ode to summer was and remains All Summer Long. Sometimes brilliance is in the small things. The last sound of Brian Wilson clearing his throat in “Our Favorite Recording Sessions” is the first note of the album ending “Don’t Back Down.” The layered vocals and rhythms of “I Get Around” are some of the best the band ever produced and the title track is even better. 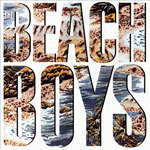 Throw in such tracks as “Wendy,” “Little Honda,” “Do You Remember,” “Girls On The Beach,” and “Drive-in” and you have a cohesive group of songs that represents the Beach Boys’ vision of the eternal summer at your beck and call. This album has grown on me during the course of the last 50 years. It features a simple concept of filling one side of the original vinyl LP with up-tempo songs and a flip side of ballads. It also help that the songs were brilliant. 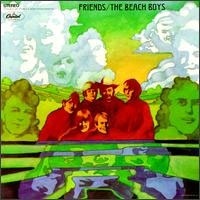 “Dance Dance Dance,” “When I Grow Up (To Be A Man),” an early version and different spelling of “Help Me Ronda,” the densely layered “Do You Wanna Dance,” and the underrated “Good To My Baby” all add up to one of the better sides in Beach Boys history. And then it gets better with the “slow side,” which includes “Please Let Me Wonder” and “She Knows Me Too Well.” A bit of toe-tapping and dreaming all in one album. The individual parts of Pet Sounds are production masterpieces. They do not have the unity of the two higher ranked albums, but the individual songs are first-rate and a testament to Brian Wilson’s genius in the recording studio. “Wouldn’t It Be Nice,” “Sloop John B,” “Caroline No” and the superb “God Only Knows” form the foundation for one of the most respected albums of the 1960s. The Beach Boys was trying to remain relevant in a changing world. Early attempts had not been commercially successful, and so they veered back toward their roots. Surf’s Up did not have the desired commercial results, but it contained some stunning music from a band that was not quite sure of themselves. “Don’t Go Near The Water,” “Long Promised Road,” “Disney Girls” and Feel Flows” may not come to mind when thinking of their music, but they are exquisite pop creations. What could have been a disaster ended up as an underappreciated classic. Two reasons this album ranks so high are its newness and the fact that it was so unexpectedly good. The band’s 50th anniversary was approaching and all surviving members of the band were about to embark on an extensive tour, in addition to recording a new album of music. It was with a great deal of trepidation that I listened to this album for the first time. It turned out to be a triumphant return to the studio. The lyrics reflected the passage of time and the realization that summer, even in the mind, will indeed end someday. The production, the songwriting and vocals are all impeccable. 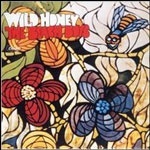 It forms a wonderful bookend to their mid-1960s releases. This album should have been a hit. The Beach Boys were maturing but unfortunately, their fan base was not. Songs such as “Tears In The Morning,” “Cool Cool Water,” “This Whole World,” “Slip On Through,” and “Add Some Music To Your Day” moved in a number of directions and had a smooth beauty. The album was a relaxed affair that ran counter to what was happening in the United States at the time. Some of the worst albums in music history have been released to fulfill contracts. 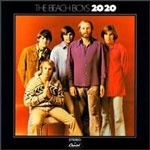 The Beach Boys owed the Capitol label one last album and cobbled together 20/20. Amazingly, the album turned out fine. It was led by a slew of very different single releases: “Do It Again,” “I Can Hear Music,” “Bluebirds Over The Mountain,” and “Cottonfields.” The gem was “Cottonfields,” with a punchy melody, an Al Jardine lead vocal, and soaring harmonies. Throw in a few extras like “The Nearest Faraway Place” and you have a fitting end to the decade and a fond farewell to the label that served them so well. 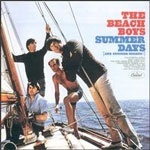 Summer Days (And Summer Nights) is an album that is often ignored in the Beach Boys blitz of 1960s releases. 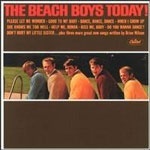 It contained a number of very good songs – “Amusement Parks U.S.A, “Salt Lake City,” and the excellent “Summer Means New Love,” the single version of “Help Me Rhonda,” and one of the all-time classic songs of summer in “California Girls.” That was enough to propel the album into the Beach Boys top 10. This was an album that just slid by the public consciousness at the time of its release. 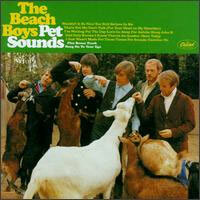 Only a committed Beach Boys aficionado can name half the songs contained on this release. It is so laidback and smooth that it is easy to overlook its inherent beauty. 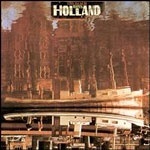 “Diamond Head,” “Wake The World,” “Meant For You,” and the title track all transport the listener to distant places. Beach Boys Concert is not really a studio album, but given Brian Wilson’s proclivity for tinkering in the studio, it’s not a true live album either. It was, however, the first Beach Boys album to reach number one. 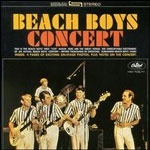 The excitement and aura of a Beach Boys concert was presented perfectly and outshines the actual music. As a teenager growing up in an old mill town in Rhode Island, it gave me – and probably a million other teenagers around the country – the chance to experience the Beach Boys live, something I thought would never happen. Little did I realize at the time that I would see the band in concert five times in five different decades, but that’s a story for another time. 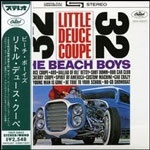 Little Deuce Coupe was a transitional album for the Beach Boys. Their early releases were primitive affairs by today’s standards. When the band went into the studio to record the tracks for Little Deuce Coupe, they were led by a maturing Brian Wilson, who had learned his craft well. The production elements and the layered sound had all improved. The title track and “Be True To Your School” are both songs that have held up well. In addition, there were fewer filler songs as “A Young Man Is Gone,” “Spirit Of America,” “Our Car Club,” and “Cherry Cherry Coup” were all strong tracks. The album announced that the quality of their releases had dramatically improved. Sometimes this release makes me want to tear my hair out and at other times I think I get it. The production takes precedence over the material in many places and nothing really fits together. Still, some of the pieces are brilliant, including “Darlin’,” which would become part of their live act for decades, and the soulful, if quirky, title song. This is a mess in many ways, but a creative mess. 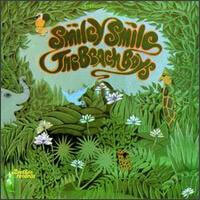 The Smile project had imploded and The Beach Boys salvaged what they could. “Good Vibrations” is a production masterpiece and an iconic song from the era and “Heroes And Villains” is just a cut below. However, by the time you get to “Wind Chimes,” Brian Wilson is leaving traditional musical parameters behind. It is an album worth exploring, but not for the faint of heart. 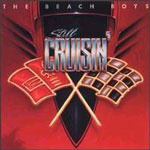 The Capital label decided to cash in in the surf and car music craze by releasing a compilation album by the Beach Boys (two songs) and a number of unknown artists. 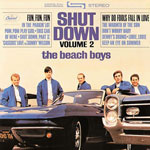 A funny thing happened: one of the Beach Boys contributions, “Shut Down,” became a hit single. 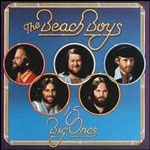 They decided to cash in on the song’s popularity by releasing a second volume by the Beach Boys. It is an album of very good and very bad songs. “Louie Louie,” “Denny’s Drums,” and “Cassius Love Vs. Sonny Wilson” have disappeared into the mists of time. All was not lost as “Fun Fun Fun,” “Don’t Worry Baby,” and “The Warmth Of The Sun” all made their debuts. This is an album I am neutral about as it contains nothing really bad but also nothing really good, except for maybe one song. The included EP, “Mount Vernon And Fairway (A Fairy Tale),” is more of the same. 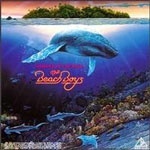 It is the fast food of Beach Boy albums, quick and not very memorable. The only bright moment is the layered and smooth “Sail On Sailor,” but one song does not a great album make. The Beach Boys released the holiday single “Little Saint Nick” in 1963. A year later they issued a Christmas album of five original compositions and seven standards. 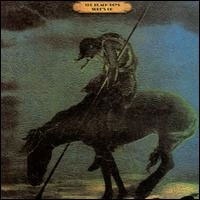 “We Three Kings Of Orient Are” may seem an odd choice for a Beach Boys album, but the vocals have a layered quality that is missing in many of the tracks. They also managed a passable “Blue Christmas.” The best of the original tracks are the lightweight “The Man With All The Toys” and “Little Saint Nick.” This is another album that has lost some of its luster to the passage of time. 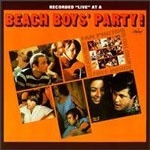 Somebody had the idea of issuing an entire disc of Beach Boy soundtrack songs due to “Kokomo,” which was featured in the film Cocktail, reaching number one on the pop singles chart. It was an idea that almost worked. “Somewhere Over Japan,” written by Bruce Johnston, John Phillips, and Terry Melcher, has a wonderful sophistication. 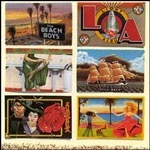 There are a lot of Beach Boy songs that have been included in films, and while the inclusion of “I Get Around,” “Wouldn’t It Be Nice,” and “California Girls” was welcome, they have been around a long time. Brian Wilson pulled out as the producer for the album and Bruce Johnston stepped in. If it weren’t for the near 11-minute discofied “Here Comes The Night,” the album would have ranked much higher. “Good Timin’” and “Lady Lynda” are two of the best tracks from their mid-career period and form the basis for an excellent half-album. Their classic 1960s period was in the rearview mirror and they continued to adjust their approach, this time with less success than other albums from the same period. 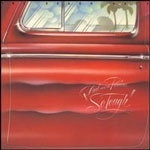 The name of the album came from a band Carl Wilson had as a teenager. The whole thing is a mish-mash of styles and songs with “Marcella” and “Cuddle Up” being the best of the lot. Shortcut number two! This is another trio of albums from the same era that are interchangeable. All have a couple of fairly good songs but the rest of the albums are forgettable. 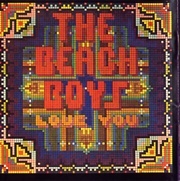 Love You is basically a Brian Wilson project as the other band members only contribute vocals. “Mona” and “Honkin’ Down The Highway” are the best of a below average group of songs. M.I.U. 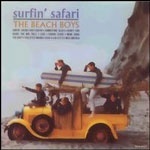 contains excellent covers of the 1950s classics “Come Go With Me” and “Peggy Sue,” but there is a problem for the Beach Boys when the covers are better than the originals. Keepin’ The Summer Alive is the best of the three releases with “Endless Harmony,” “Santa Ana Winds,” and “Goin’ On” standing above the rest. Dennis Wilson was dead and the album was filled with drum machines and synthesizers. “Getcha Back” is okay, but the rest sinks into deserved obscurity. 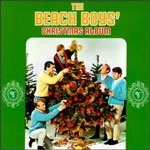 Brian Wilson was tinkering in the studio and his label wanted an album for the Christmas season. Wilson would have been better served to have produced a simple album recorded at actual party. Instead, he recorded it in the studio with little effort and it shows. There were no original songs and the harmonies were off on many of the tracks. Despite all these issues, “Barbara Ann” was released as a single and became a huge hit reaching number two on the Billboard Pop Chart and number one on Cashbox. 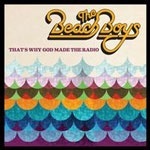 Oddly, the lead vocal was not a member of the Beach Boys but by Dean Torrence of Jan & Dean. This was both a poor album and a disappointment. There was a lot of hype prior to this album’s release because Brian Wilson had returned to produce his first full album since Pet Sounds. It ended up primarily as a cover album. “Rock & Roll Music,” “Chapel Of Love,” “Palisades Park,” and “In The Still Of The Night” were competent enough, but one must ask why as the original versions were superior. Al Jardine’s “Susie Cincinnati” was a glimmer of their past work, but more was expected. I don’t know how many studio, compilation, and live albums the Beach Boys have released during the last 52 years, but I am placing Summer In Paradise at number 102 just to make sure. Brian Wilson, former and future band member David Marks, and the deceased Dennis Wilson can thank their lucky stars and the creator of the universe that they were not involved in this disaster. It rightfully sold less than 10,000 copies after its release. Using an A to F grading system, it deserves a G for gosh awful, or an H for how could they, or an I for inconceivable. I’m actually being kind here.